Help the Waltham Land Trust preserve community greenspace while staying fit and enjoying the Western Greenway! This 5K (3.1 mile) trail run goes through and around a variety of habitats in Beaver Brook North Reservation and Rock Meadow, including cattail marshes, forests, vernal pools, and open meadows. Everyone is timed, prizes are awarded to fastest in many categories, food and drinks are provided, and we have extra prizes for lucky bib numbers so everyone who registers has a chance of winning a prize! Proceeds from the entrance fee helps the Waltham Land Trust keep protecting open space in Waltham. Thank you to Bistro 781 for hosting the pre-race bib pickup and post-race celebration, and Bertucci's for donating pizza! Thank you for your interest in the Western Greenway 5k! 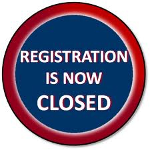 Online registration is now closed, but you can still register the day of the race! Please arrive 30 - 45 minutes before the race to allow enough time for in-person registration and bib pickup.